Discussion in 'Dovetail Live Article Discussion' started by TrainSim-James, Jul 12, 2018. 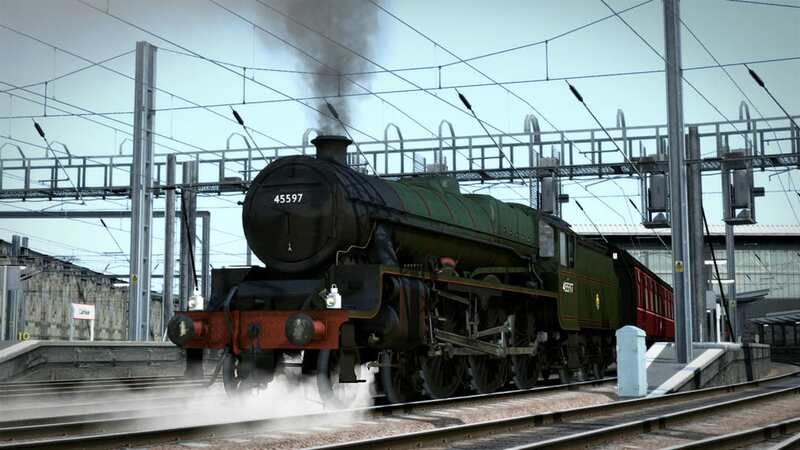 It’s not been long since the arrival of Bossman Games’ stunning LMS Stanier Black Five, however following just a few signal blocks behind is their next authentic creation… Coming soon to Train Simulator, the LMS Stanier Jubilee Class! A black 5 in 00 gauge was the first model locomotive ever bought for me by my father many many years ago. It was part of the Paddington, Newport Cardiff and Swansea train set and because we were moving a lot in those days it never really got set up properly. Of course over the years it got trashed and sadly my father is no longer with us, but recently I found another on ebay, same with the carriages, so I guess I can now really value it in the way it was intended. And now you guys have gone and made me one I can drive! I guess I'd just like to express my appreciation to you guys and girls for bringing these lovely creations to market, and you have my thanks..
WOW, I have worked on two of these locos Bahamas and Leander when the were based at Dinting Loco center up at Glossop (available from DTG via the Woodhead route). Looking forward to climbing back on board and driving them, a privilege not given to lowly cleaners!.